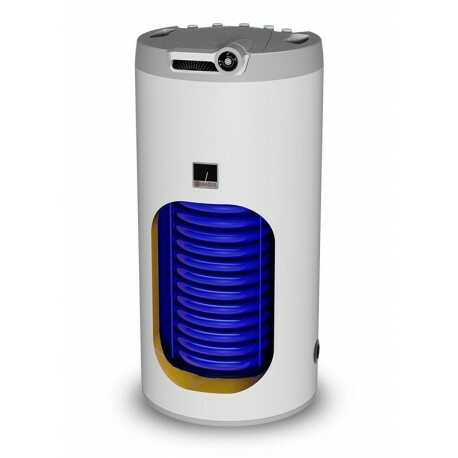 Indirect heater 95 l with enamelled vessel and high performance heat exchanger designed to be placed on the floor under the suspended gas boiler. All outlets including the outlets of the heat exchanger are directed upwards for easier connection with the suspended gas boiler. Preparation of hot water in premisses equipped with gas boilers.